Managing a project can be daunting. Whether planning your wedding, developing a new website or building your dream house by the sea, you need to employ project management techniques to help you succeed. I'll summarise the top seven best practices at the heart of good project management which can help you to achieve project success. Firstly, understand the project objectives. Suppose your boss asks you to organise a blood donor campaign, is the objective to get as much blood donated as possible? Or, is it to raise the local company profile? 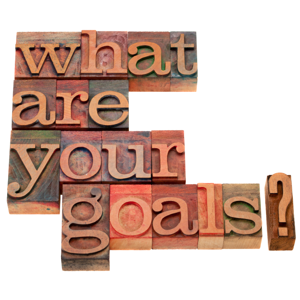 Deciding the real objectives will help you plan the project. Scope defines the boundary of the project. Is the organisation of transport to take staff to the blood bank within scope? Or, should staff make their own way there? Deciding what's in or out of scope will determine the amount of work which needs performing. Understand who the stakeholders are, what they expect to be delivered and enlist their support. Once you've defined the scope and objectives, get the stakeholders to review and agree to them. You must define what will be delivered by the project. If your project is an advertising campaign for a new chocolate bar, then one deliverable might be the artwork for an advertisement. So, decide what tangible things will be delivered and document them in enough detail to enable someone else to produce them correctly and effectively. Planning requires that the project manager decides which people, resources and budget are required to complete the project. You must define what activities are required to produce the deliverables using techniques such as Work Breakdown Structures. You must estimate the time and effort required for each activity, dependencies between activities and decide a realistic schedule to complete them. Involve the project team in estimating how long activities will take. Set milestones which indicate critical dates during the project. Write this into the project plan. 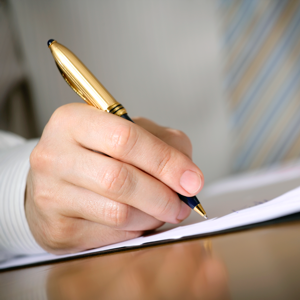 Get the key stakeholders to review and agree to the plan. Project plans are useless unless they've been communicated effectively to the project team. Every team member needs to know their responsibilities. I once worked on a project where the project manager sat in his office surrounded by huge paper schedules. The problem was, nobody on his team knew what the tasks and milestones were because he hadn't shared the plan with them. The project hit all kinds of problems with people doing activities which they deemed important rather than doing the activities assigned by the project manager. You can adjust the plan in many ways to get the project back on track but you will always end up juggling cost, scope and schedule. If the project manager changes one of these, then one or both of the other elements will inevitably need changing. It is juggling these three elements - known as the project triangle - that typically causes a project manager the most headaches! Stakeholders often change their mind about what must be delivered. Sometimes the business environment changes after the project starts, so assumptions made at the beginning of the project may no longer be valid. This often means the scope or deliverables of the project need changing. If a project manager accepted all changes into the project, the project would inevitably go over budget, be late and might never be completed. Risks are events which can adversely affect the successful outcome of the project. I've worked on projects where risks have included: staff lacking the technical skills to perform the work, hardware not being delivered on time, the control room at risk of flooding and many others. Risks will vary for each project but the main risks to a project must be identified as soon as possible. Plans must be made to avoid the risk, or, if the risk cannot be avoided, to mitigate the risk to lessen its impact if it occurs. This is known as risk management. You don't manage all risks because there could be too many and not all risks have the same impact. So, identify all risks, estimate the likelihood of each risk occurring (1 = not likely, 2 = maybe likely, 3 = very likely). Estimate its impact on the project (1 - low, 2 - medium, 3 - high), then multiply the two numbers together to give the risk factor. High risk factors indicate the severest risks. Manage the ten with the highest risk factors. 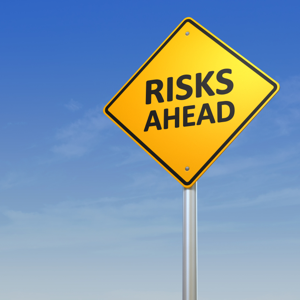 Constantly review risks and lookout for new ones since they have a habit of occurring at any moment. Following these best practices cannot guarantee a successful project but they will provide a better chance of success. Disregarding these best practices will almost certainly lead to project failure. Simon Buehring is a project manager, consultant and trainer. He works for KnowledgeTrain which offers training in project management in the UK and overseas. Simon has extensive experience within the IT industry in the UK and Asia. He can be contacted via the KnowledgeTrain project management training website. This article is quite helpful. I feel that risk management is one area that has an immense impact on projects and needs to be explored with more focus. Especially with regard to the processes that project teams can use to comprehensively identify risks before analyzing them. I couldn't agree more with Duncan. There is no way to know how old this article is. In project management what was right 5 years ago is probably not now. This article dates from around 2007. I think everything Simon calls out is still relevant today. In terms of development, Project Management develops relatively slowly. The core concepts are not going to change. We will always need to manage risks, report progress, plan and manage change. 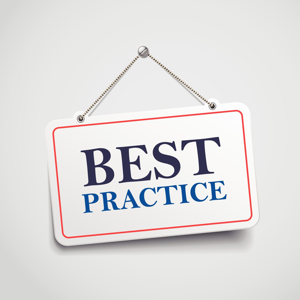 Good PM training courses will (or should) cover all seven of Simon's best practices.